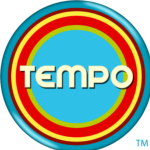 Tempo Networks is a pan-Caribbean television channel broadcasting the music and culture of the Caribbean. Programming includes music videos, news, dramas, and documentaries addressing all aspects of Caribbean life. Advertisers that targets the Caribbean audiences. We also broadcast on Verizon Fios and Optimum in the United States.